An Ember in the Ashes uses a lot of the typical dystopian tropes, but still managed to keep me hooked. I was over 100 pages in before I considered even trying to put the book down. At first, I thought that it might be a little too much like Legend by Marie Lu, with the similar academy training the empire's best soldiers, but the more brutal, Romanesque world helps to set it apart. The slight fantasy elements with the hints of jinn, ghuls and wraiths also help. Laia was an extremely interesting character, and not the typical dystopian/fantasy heroine who are mostly the strongest/chosen-one type. Laia thinks she's a coward, not strong enough to do what she must, and would only consider her dangerous plan in order to save her brother. Laia goes undercover as a slave to the leader of the academy. She's to ferret out secrets for the revolution in exchange for their freeing her imprisoned brother. The Commandment is pure evil and likely to disfigure her slaves at the least provocation. Laia is in terrible danger, and my stress levels were skyrocketing as Laia sneaks around. I just knew she was going to get caught and tortured by the commandment at any time. Elias was an interesting character as well. Although he was the normal golden boy on the inside wanting freedom from the empire and trying to rebel against the empire's wishes, he is a little tarnished gold. He is the apple of his grandfather's eye, but his mother, the evil Commandment, is alternately indifferent or hateful to her only son. There is an infuriating love-square, yes, not just a triangle but a square in An Ember in the Ashes. Laia is torn between the boy in the resistance and the boy soldier who only wants to escape. BUT, the boy soldier also can't make up his mind between Laia and his best friend. Why couldn't they just be best friends instead of trying to add in the romance? My main complaint is the ending. 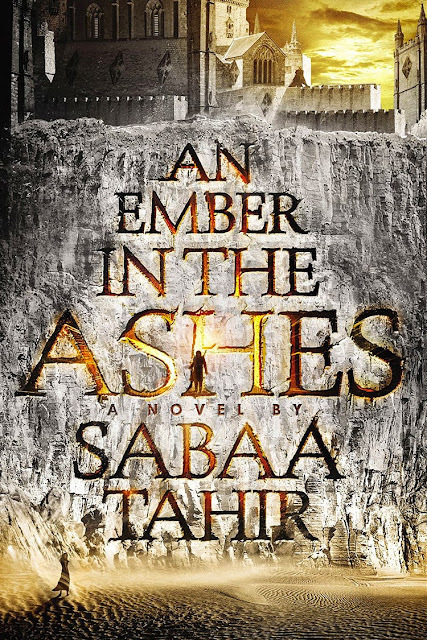 Supposedly An Ember in the Ashes was written to be a standalone, but it does not remotely read like one. It's setting up a world, and there are sooooooo many unanswered questions because of it. The author said it's written like a standalone, and the publisher had only bought one book, but that if it sells well they may buy others and the author already has characters and plots planned. If it's the first book in a series, it's amazing, and I can't wait to read more. If it's a standalone, I am disappointed and wanted more. There should have been less of a focus on the love-square and more of a focus on the world and it's mythical inhabitants.